The war in Afghanistan, America’s longest, is now formally over. The 13-year war, which claimed more than 2,200 American lives and cost more than one trillion dollars, ended quietly at a ceremony in Kabul yesterday. U.S. President Barack Obama and other Western leaders promised their ongoing commitment under the rebranded Operation Resolute Support and insisted the war was a success. But the Taliban is poised for a comeback with a recent surge in violence in Kabul and around the country. There are concerns that Afghanistan’s military and fragile political institutions will crumble as the United States leaves. There’s a big problem with this. America’s longest war, by far, is not the recent Afghan War; it was its more or less continuous effort against Native Americans from the early 1600s to the late 1800s. 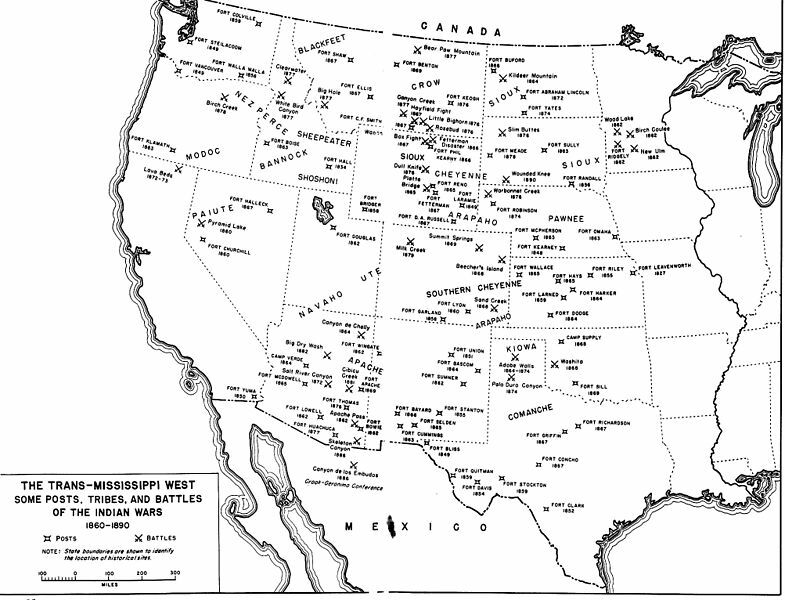 Americans like to forget that native peoples populated the land before European settlers began to arrive, and that these native peoples had to be killed, or corralled, or otherwise subjugated or shunted aside in the name of Manifest Destiny and in the pursuit of profit. For the first 200 years of our military heritage, then, Americans depended on arts of war … [that included] razing and destroying enemy villages and fields; killing enemy women and children; raiding settlements for captives; intimidating and brutalizing enemy noncombatants; and assassinating enemy leaders. For Grenier, America’s “first way of war” relied on “extravagant violence” often aimed at “the complete destruction of the enemy,” in this case various Native American peoples. This was indeed America’s longest war. Yet despite (or perhaps because of) its long duration and brutal violence, the war against indigenous peoples is rarely mentioned today, especially by those who seek to promote American exceptionalism. Another longer war than the Afghan one, more recent in America’s memory, was the Cold War we fought against the Soviet Union and its allies from the close of World War II to the collapse of the Soviet Union in the early 1990s. Lasting nearly half a century, this war ended in victory of a sort for the United States, even as its legacy continues to poison U.S. culture and foreign relations. For the Cold War left us with an enormous military-industrial-Congressional complex, to include nuclear forces capable of destroying the planet, which the U.S. continues to feed and even to enlarge. The result has been the growth of a second “shadow” government, a national security and surveillance state of enormous power, an apparatus with wide-reaching and unaccountable powers that is potentially a greater threat to American freedoms than the Soviet Union ever was. When America forgets its longest wars, and especially when Americans forget the legacies of these wars, it’s more than history that suffers. Update: Just after I wrote this, I came across this article on corporate “land grabs” that continue to bedevil Native Americans. Some would argue that the long war against native peoples never really ended. And to state a point that is perhaps obvious: the Afghan War grew out of the Cold War and U.S. efforts to embroil the Soviet Union in its own Vietnam in 1980. U.S. efforts to support the Afghan “freedom fighters” against the Soviets contributed to the rise of Osama bin Laden, who would eventually turn against the U.S. in the 1990s. America’s Afghan War, in other words, is not a 13-year war. To understand it, one must look back to 1979-80 and the machinations of a U.S. foreign policy establishment that was much more concerned with hobbling the Soviets than with helping the Afghan people. Valid observations, to be sure, though even I–as harsh a critic of this nation’s policies as can be imagined–never thought of this genocide as a continuous, “unified” war. There were periods of relative peace, with the US temporarily actually honoring some treaties. Though America still hasn’t paid for its sins in this regard and the insults and injuries should not be swept from memory, I am more concerned at the moment with the latest perversion of language as Obama declares the war in Afghanistan “over” and proclaims “victory.” And how many thousands of US/Coalition-of-the-Lickspittles troops will remain there, Mr. President??? For how much longer??? This is your idea of a war being “over”? Shall we simply scrap the notion that words actually have meanings? Sigh. Some of us are just hopelessly old-fashioned, I guess. Good points, Greg. In this case I’m a lumper instead of a splitter (the two types of historians). When you lump all the battles together, and from the perspective of various Native American peoples, surely it looks like a sustained centuries-long campaign of annihilation, with occasional truces at the convenience of the White man. What treaties with Native Americans have we honored for more than a few days? Cornplanter’s treaty: 1796-1965. Land granted “in perpetuity” in 1796. The Kinzua Dam flooded most of the grant in 1965. Prior to that, the Seneca sued to fight the use of eminent domain to take their land and to block construction of the Dam. Their case went to the Supreme Court, where they lost. Note, however, that the Court did re-affirm that the use of eminent domain required “just compensation” (with emphasis on “just”). In this specific case, the government payed substantially in excess of the supposed market value of the land in recognition of its historic value and of the existence of the treaty. Whether that payment truly constitutes just compensation is an issue I am unable to assess. Well. I guess that proves we are indeed “exceptional”. The only modern nation I can think of who has been at war virtually since it came into existence. Somehow I knew we had it in us. I do just wonder though how much more “exceptional” we might have been if all that effort wasn’t wasted on wars.